Colour Matching – Why doesn’t the colour on a mug match the colour on a sticker? Do you remember mixing colours at school? I loved seeing things change and I am sure we all remember that red and yellow makes orange, yellow and blue makes green and a favourite of mine is blue and red makes purple. Four colour printing works in a similar way. Base colour inks are mixed together to make other colours – only unlike school the percentage colour to colour ratio is very precise. 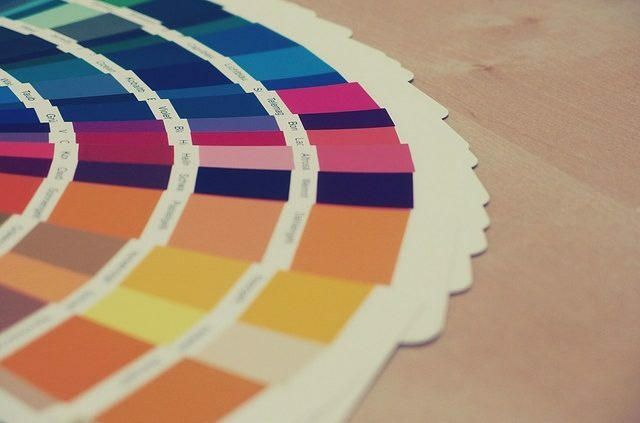 If you have ever seen a Pantone reference book you will see the amazing number of colour and shade variations that are available through this method of printing. Having said that one thing that any print buyer needs to remember is that ink behaves differently on different mediums. So printing on porcelain will produce a different effect to printing on paper. TIP: If you are creating a campaign that has many different elements it is often recommended that you choose the element that gives the best colour match to your brand and ask all other suppliers to match as closely to that item as possible. http://storm-graphics.co.uk/wp-content/uploads/2017/07/colourswatch.jpg 426 640 Christine Rayner http://www.storm-graphics.co.uk/wp-content/uploads/2016/03/Storm-Logo-png-300x78.png Christine Rayner2018-05-19 13:39:032018-07-31 13:26:57Colour Matching – Why doesn’t the colour on a mug match the colour on a sticker?